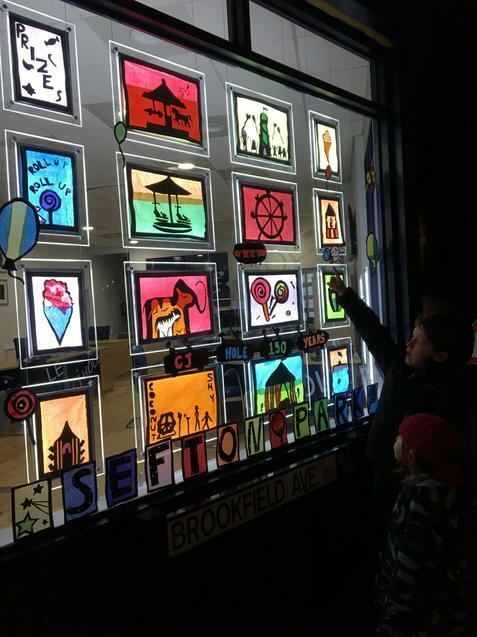 Sefton Park children were recently invited to create an impactful display for local estate agent CJ Hole, as part of Window Wanderland, an annual art display in which residents, local businesses and community groups light up their windows and gardens to brighten the neighbourhood and turn the streets of Bishopston into an outdoor art gallery. 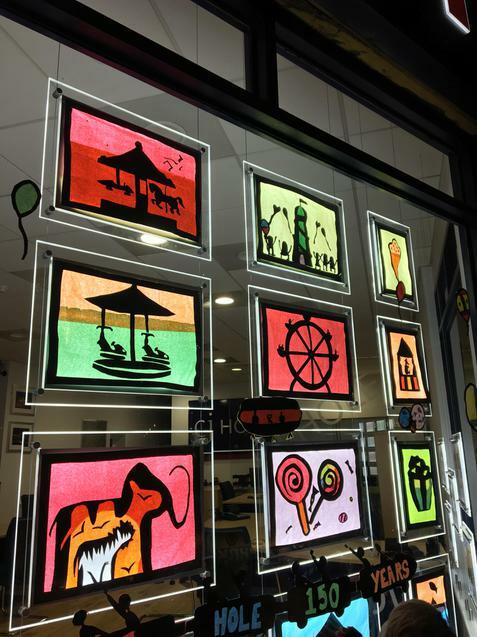 Kapok class (Yr 5) developed a window display on the theme of ‘Fairground’ for this year’s event, in line with their current topic. 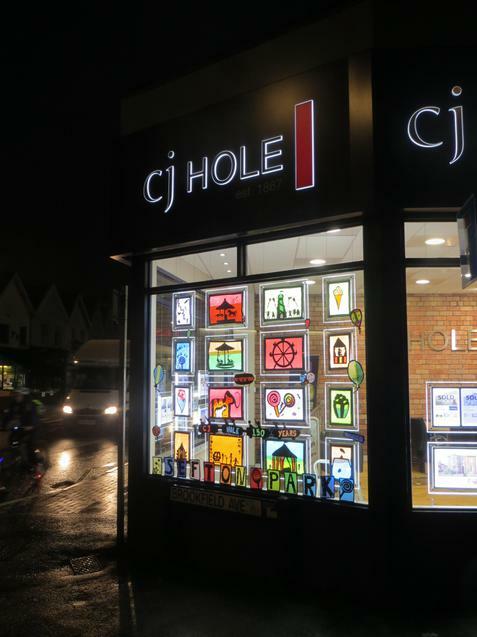 The event took place on Saturday February 4th and Sunday February 5th, and the children’s artwork was displayed at CJ Hole on the Gloucester Road. 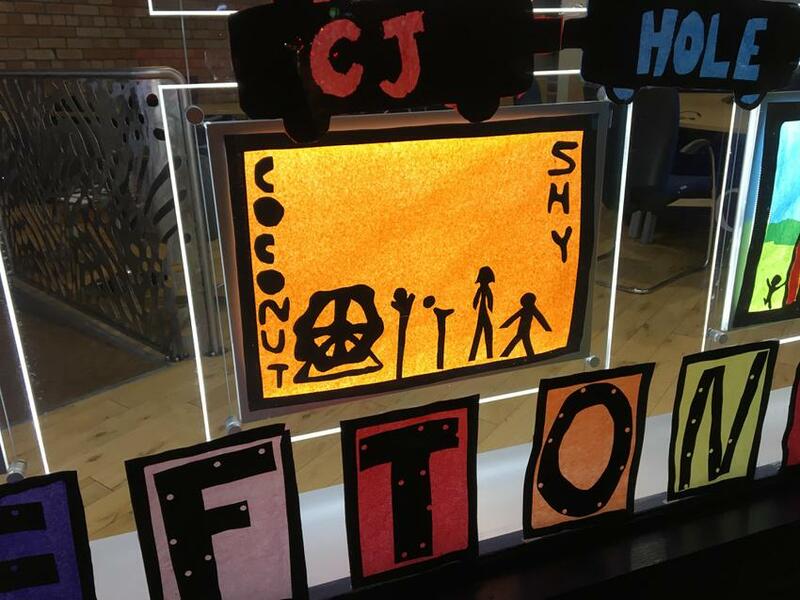 The artwork was displayed in CJ Hole’s corner window in suspended backlit frames, featuring a ferris wheel, merry-go-rounds, a coconut shy, and a helter-skelter, as well as images of the variety of foody treats you can find at the fair – popcorn, lollipops, ice creams, etc. 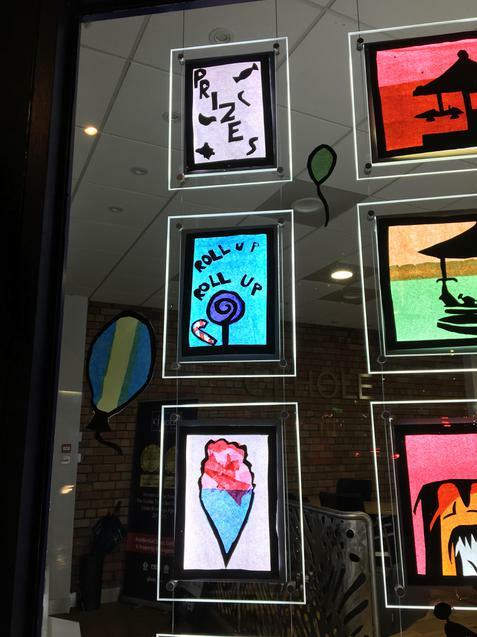 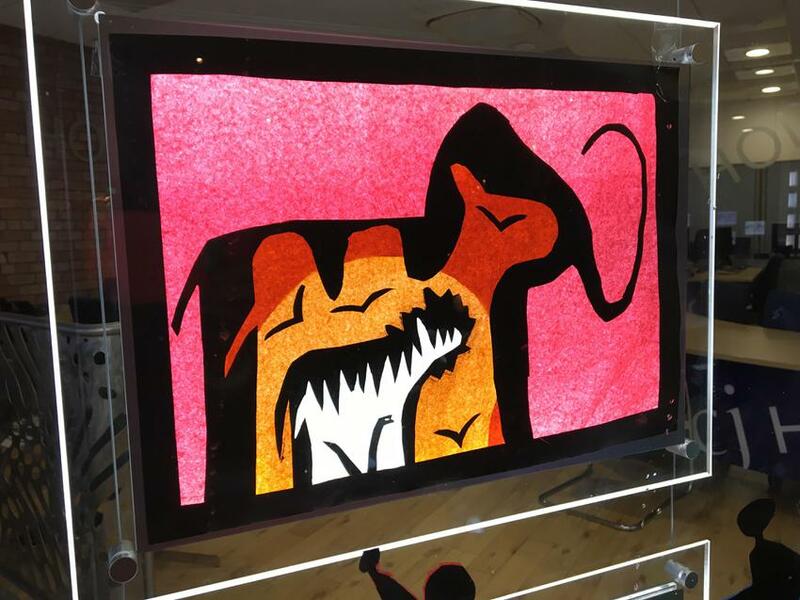 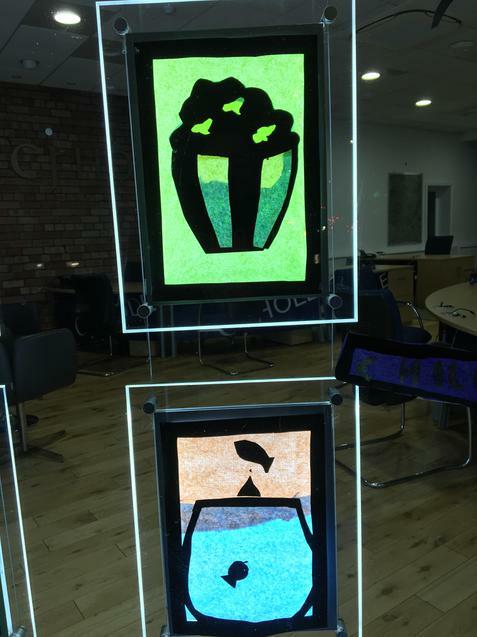 This is the second year that Sefton Park has worked with CJ Hole to create a display for the Window Wanderland trail. 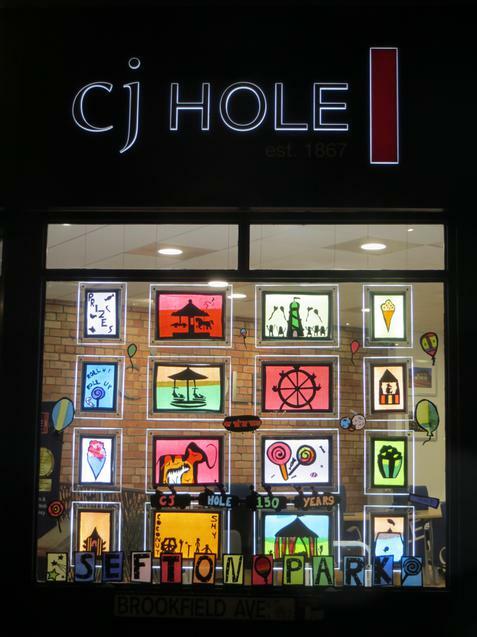 CJ Hole is this year celebrating its 150th year in business, and the artwork created by Kapok class incorporated a reference to this. 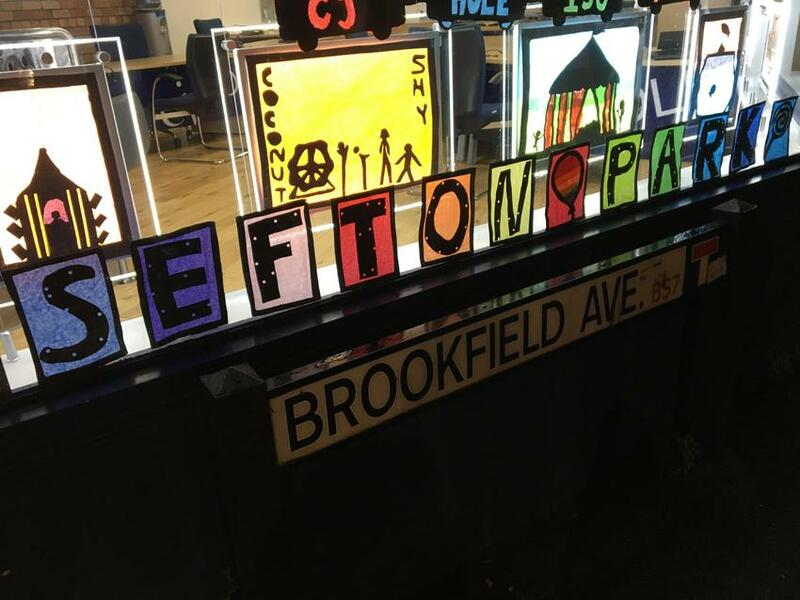 Following the event, Andy Musker presented Lee Else, our display technician, with 40 high vis jackets for use on school trips, as a way of thanking Sefton Park Schools for working with them on the display. 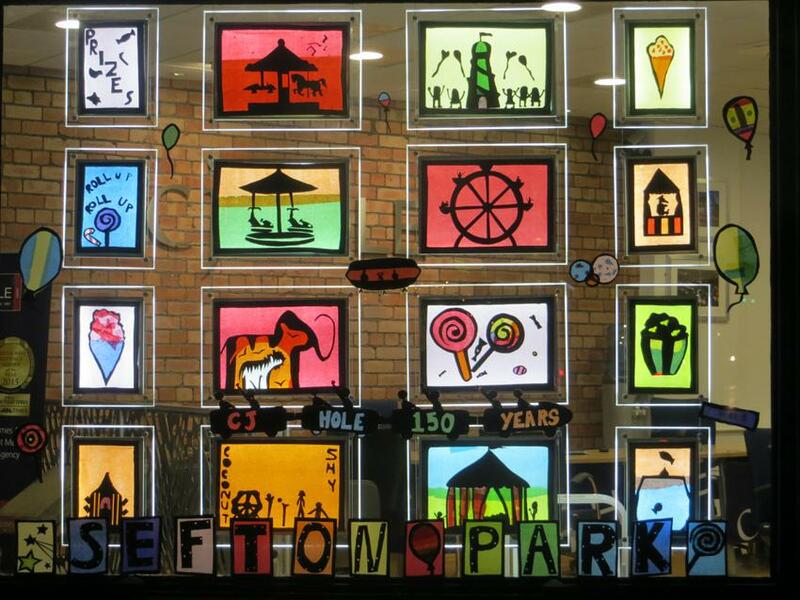 Our thanks go to Andy and all of the team at CJ Hole Gloucester Road; Lisa Chester, Kapok class teacher and co-ordinator of Sefton Park's wanderland creations; Lee Else; and of course all of the children in Kapok class for their creativity and imagination. 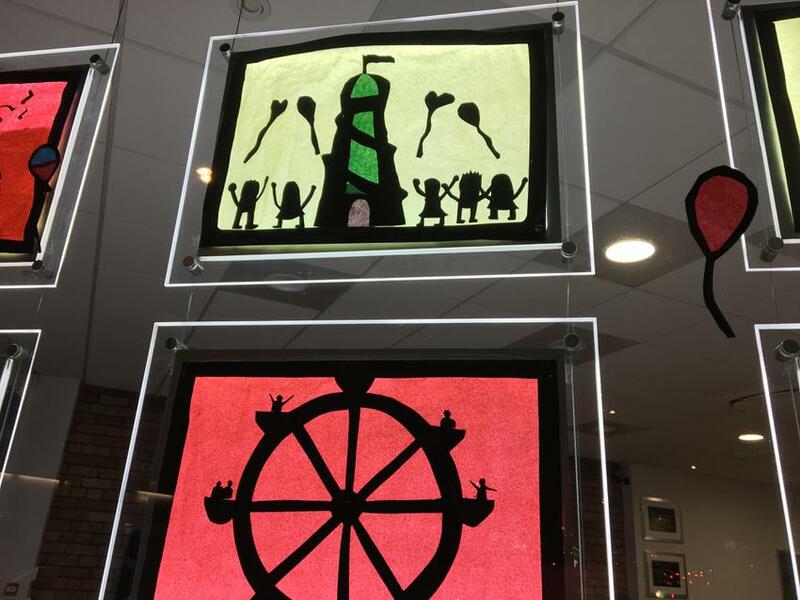 If you missed the trail at the weekend, you’re not too late to see the fairgound artwork as it is now on display around the school.